Download our patient education tools to help you describe the effects of alcohol and marijuana use to patients and provide options for decreasing substance use. This double-sided handout can be given to and discussed with patients during the brief intervention. 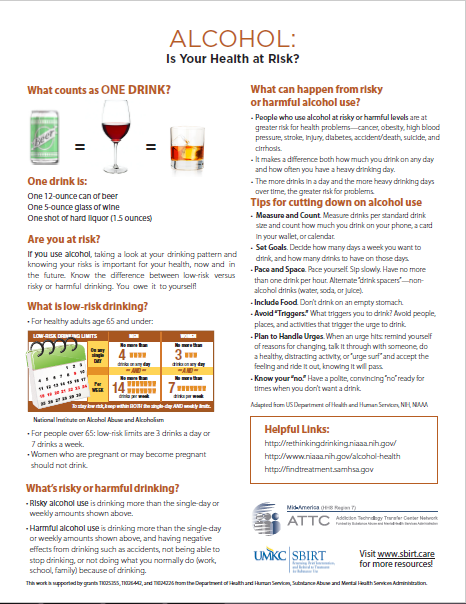 Side one contains information on drink sizes, low-risk drinking limits, risky and harmful drinking, and tips for cutting down on drinking. 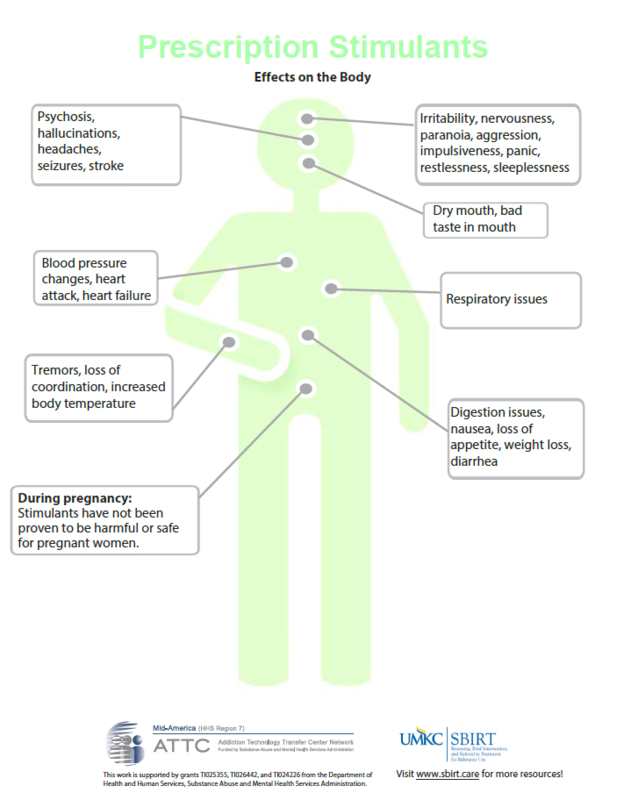 Side two describes the effects of harmful and risky drinking on the body. This double-sided handout can be given to and discussed with patients during the brief intervention. Side one contains science-based information on marijuana use and tips for cutting back. Side two describes the effects of marijuana use on the body. This double-sided handout can be given to and discussed with patients during the brief intervention. Side one contains information on prescription opioids and heroin, including mixing opioids with other substances, risks of opioid use, how to safeguard prescription opioids, steps to take if using opioids, and tips for quitting. 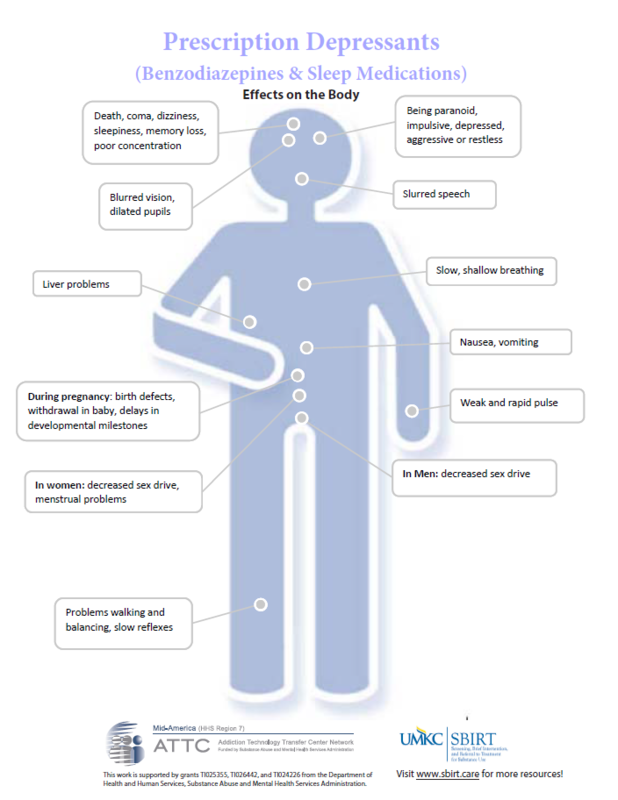 Side two describes the effects of opioid misuse on the body. This double-sided handout can be given to and discussed with patients during the brief intervention. Side one contains information on methamphetamine use and tips for quitting. 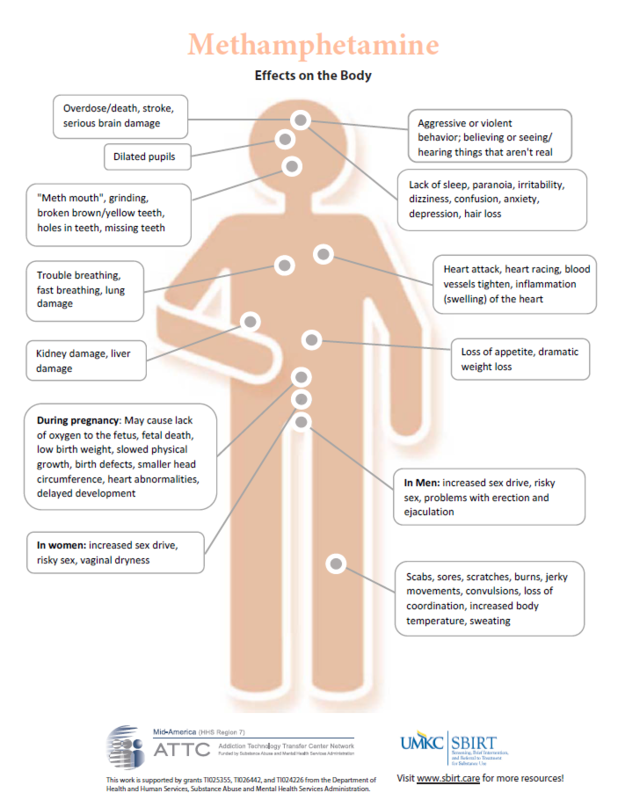 Side two describes the effects of methamphetamine use on the body. This double-sided handout can be given to and discussed with patients during the brief intervention. Side one contains information on prescription stimulant misuse and tips for quitting. 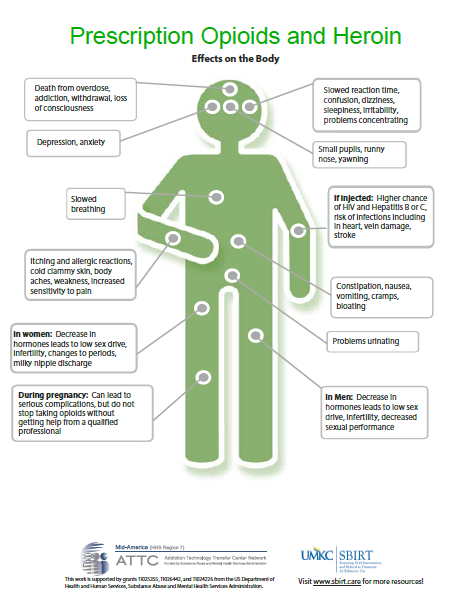 Side two describes the effects of prescription stimulant misuse on the body. This double-sided handout can be given to and discussed with patients during the brief intervention. Side one contains information on prescription depressant misuse and tips for quitting. 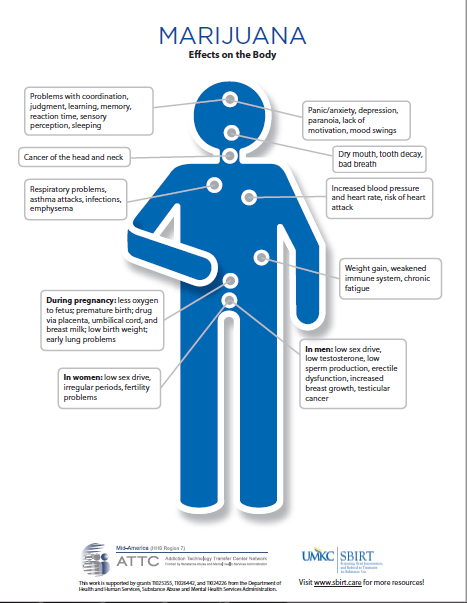 Side two describes the effects of prescription depressant misuse on the body.